It was Serious Fun…Serious Business! At the November 15th meeting of the Lake Norman Regional Economic Development Corporation, Executive Director Jerry Broadway informed the Board of Directors he would retire and step down from his position sometime in the first quarter of 2013. I was very fortunate to serve on an interview panel in 2006 with then Chamber Chairman Randy Marion as we met with several qualified candidates and selected Jerry to serve as the second executive director of the EDC. Jerry impressed me with his easy-going nature and the marketing skills he possessed as we looked to position the lake region as the place to grow and locate your business. Jerry, along with Sally Ashworth of Visit Lake Norman, and myself represented the three North Mecklenburg business organizations as the chief executive officer. While Jerry focused his efforts on primary job creation, Sally and her organization marketed the region for events to bolster travel and tourism revenues and the chamber of commerce served as the advocate of business and a resource for small business development. One of my former Chamber Chairmen spoke of the Chamber, EDC, and Visit Lake Norman as the three-legged stool – each leg dependent on each other as we supported economic and business growth at the lake. Jerry, Sally and I often joked about such a comparison but we also knew it to be very true. There is no question the chamber would not be successful without a strong economic development organization and we all benefit greatly from the travel and tourism market at the lake. Since the creation of the EDC, all three organizations have complimented each other well. As the executive at the Chamber, I can attest first hand it is not always easy to balance the needs of a regional organization. While we have three towns which work well together and have much in common, each also has its unique identity and needs. Jerry Broadway hit the ground running as he worked closely with the new Commerce Station Business Park and helped Pactiv (Prairie Packaging) set up their operations. Over the next few years Jerry worked with business expansions such as Rubbermaid and more recently recruited ABB as well as Davidson’s MSC Industrial supply to name just a few. 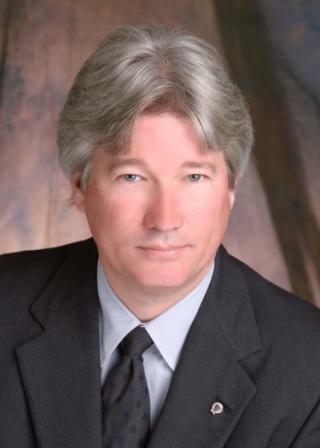 Some time in the next few months Jerry Broadway will end his tenure at the Lake Norman Regional EDC. He was at the helm during the most challenging time for business and perhaps in our lifetime. Jerry Broadway will leave our EDC and our region stronger than he found it. His legacy is the jobs he helped create and the new families who now call Lake Norman home because of his efforts. In the non-profit world in which Jerry, Sally Ashworth and I work, we would all like to think that the tree we plant today will bear fruit in the days ahead and that our work makes a difference. There is no question – Jerry Broadway has changed the face of our community and the way we do business at the lake. He’s made more than a difference – he’s touched lives. Plans are underway for the 2013 Lake Norman Chamber Business Expo to be held at Davidson College’s Belk Arena. The region’s premier business trade show will be held Friday, March 8th from 11 am until 5:00 pm. Lake Norman Chrysler Jeep Dodge Ram and Randy Marion Automotive are the Presenting Sponsors of the event. Bill Russell, president of the Chamber, cited many different reasons why the Expo has been a success for more than a decade. “Lake Norman is home to many unique businesses. These particular businesses meet the lake lifestyle that is attractive to the new homeowners, residents, and businesses moving to the Charlotte region’s dynamic market,” said Russell. Russell also cites the energy of the event, the attendees who typically frequent the area’s largest business trade show and the special events created by the Expo’s steering committee. The Chamber is now seeking sponsors for the event. In addition to the Presenting Sponsors, Gold Sponsors include MI Connection, Lake Norman Magazine, and Presbyterian Hospital Huntersville. The Chamber is working to secure the marketing partners which bring tremendous exposure to the event along with Silver and Bronze sponsors. For more information about sponsorship in the 2013 Lake Norman Chamber Business Expo contact Bill Russell at the chamber at 704-892-1922 or e-mail Russell@lakenorman.org. “We will be contacting this past year’s sponsors to renew for the event. They have the first right of sponsorship in the 2013 event. We hope to secure our sponsors on a first come-first serve basis,” said Russell. A benefit to all sponsors includes the opportunity to direct their booth placement. General Business Booths are expected to be released in early December and are limited to the first 165 businesses. If you are interested in working on the Chamber’s signature event, the next meeting is Wednesday, November 28th at 3:30 pm at the Chamber. Last week, I was at a local restaurant in Huntersville when a Lake Norman Chamber member asked about Langtree at the Lake. This particular individual was not able to attend the very informative Focus Friday session we held last month at the Chamber. Anyone who drives past exit 31 off I-77 has seen the tremendous activity as the first phase of construction is under way for the mixed-use development. This member understood that soon the North Meck -South Iredell area will see 300 luxury apartments as well as a 350,000 square foot Ethosphere building which would include a full service hotel. 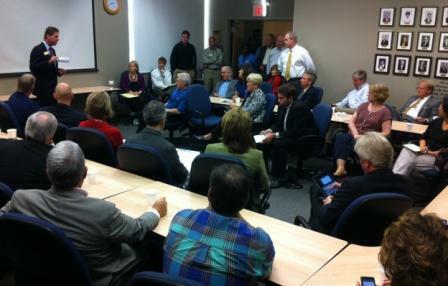 The 14-story building (if approved) would also contain at least 14,000 square feet of much-needed meeting room space. The project, an $800 million investment for R.L. West Properties, is expected to be an 8-10 year build out and will have a considerable retail footprint in our region. This particular gentleman inquired if properties like Birkdale Village in Huntersville or Jetton Village in Cornelius would suffer with the introduction of Langtree at the Lake. “Not at all,” I responded, “Langtree will be the perfect complement to our lake lifestyle and add an additional regional resource as Lake Norman emerges as a destination for the business and leisure traveler. Langtree at the Lake – a vision of the Howard family (Brad and Rick) – is a welcome sight indeed. Langtree is making a splash at Mooresville and that wave of energy and vitality will be felt on the shores of Mecklenburg, Lincoln, and Catawba. Langtree, and other developments like it, are another reason the rising tide will lift our businesses and communities if we are brave enough to leave the safety of the shore. We must invest in the unbridled opportunities that await us by working hard, working smart and working together. The campaigns are over, the ballots counted, and the election results are in. Now it is time to look at the challenges ahead and create action plans to solve the issues related to our economy, taxes, business regulations, healthcare, energy, defense and more! In the meantime, if you have not already participated in the Chamber’s 2012 Elected Officials Survey, please do so. 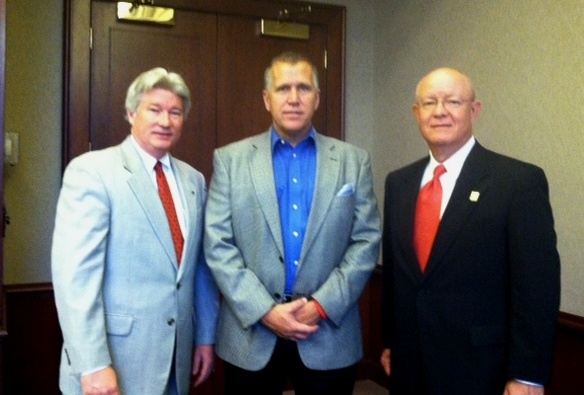 We would like to acknowledge the most “Business Friendly” commissioner in each of the three North Mecklenburg towns. While their selection does not mean the remaining commissioners are not focused on business, we do want to thank those who really put thought and time into soliciting business feedback on the votes they cast and look out for your particular business. These votes are confidential and no one will examine individual votes, merely the vote total. The survey has been emailed to the membership. Join us Thursday, November 15th at River Run Country Club in Davidson as we hear from Mayors Swain, Tarte and Woods on the achievements of their Town’s in 2012 and the look ahead. We will salute all our elected officials as well as recognize the three (one in each town) who have been voted on by our membership as the most “Business Friendly.” The cost is $16 for members and is complimentary to our elected officials. The luncheon is sponsored by EneryUnited. Huntersville’s bond package of transportation, infrastructure, and parks and recreation improvements were approved this week by voters. The bonds, approved by approximately 66% of the voters, will allow the town to make $30 million in needed improvements. At a Focus Friday event this fall, newly elected NC House of Representatives member Charles Jeter indicated all of the improvements were critical and the bonds were the least expensive way to pay for them. 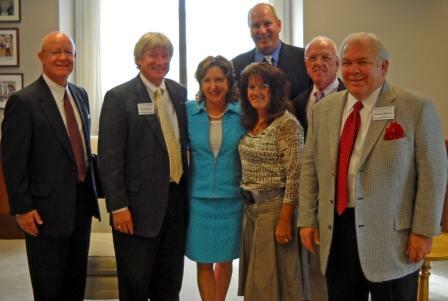 The Lake Norman Chamber of Commerce Board of Directors voted to endorse the bonds. Topic: Business: What Has You Concerned? 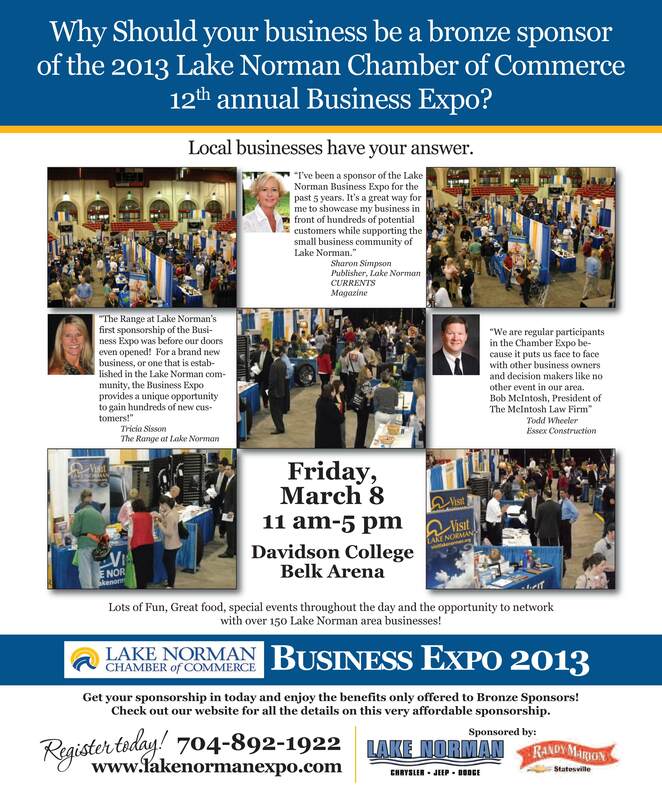 The 2013 Lake Norman Chamber Business Expo is scheduled for Friday, March 8th at Davidson College Belk Arena. This year’s event will be chaired by Sharon Simpson, Lynn Marshall, and Bill Russell but we are looking for volunteers who want to help plan and assist with the event. If you have ideas on how to improve our Expo or just want to help on the event, email Bill Russell at Russell@lakenorman.org. In the meantime, we are seeking sponsors for next year‘s event: The Presenting Sponsors are Lake Norman Chrysler Jeep Dodge Ram and Randy Marion Automotive. Gold Sponsors are sold. They are MI Connection, Lake Norman Magazine, and Presbyterian Hospital. We are now seeking Silver and Bronze sponsors. Download information on Sponsorship Levels and send back the Sponsorship Registration form or call Bill Russell about more information at 704-892-1922. Sponsorship in the Expo is a great way to promote your business – Let our members tell you why! Charlotte Mecklenburg Schools Vocational Training Program Needs Your Support! Denise Clark, the Job Coach at Hough High School is seeking local businesses to serve as job sites for the purpose of teaching high school juniors and seniors with disabilities, job skills. The students attend William A. Hough High School and are in the Occupational Course of Study Program. The program focuses on job skills development and preparation for post-graduate employment. To fulfill these requirements, the school partners with local businesses on a weekly basis, for approximately 2 hours, between the hours of 9:30am to 1:45pm. This unpaid, but valuable work experience, is how you can help us contribute to the success of our students. Please call or email Denise for more information, or to set up an appointment. denisea.clark@cms.k12.nc.us or call 980-344-0514 See the letter link for a more detailed description along with the Vocational Training Agreement. This past month, the Town of Cornelius adopted a new code (Chapter 99 Alarm Systems) which it hopes will dramatically reduce false alarms and increase response times by police on actual calls, thereby saving municipal resources. Owners of an alarm will have to register their system with the Town of Cornelius and pay $10 for a permit every year. Alarm owners 65 and older will have their permit fee waived. Current alarm system owners will have until Jan. 1, 2013 to apply for and be issued an alarm permit. I had the chance to speak on this issue this past week, although the public hearing on the matter had passed. There were three concerns I shared with the Board of Commissioners. 1) According to the new code, an apartment with one resident is treated the same as a large business which might have as many as 100 employees or more. It just strikes me that a facility that has as many as 40 different people who could activate an alarm should be treated differently than an apartment dweller. I realize a response to that scene does not vary between an apartment or a large corporation, but I do believe the circumstances are different. 2) There is a $10 annual fee. The fee covers the registration of the alarm. It is quite understandable that the town should cover its costs in setting up the account, and $10 is not a significant amount of money, but once that account is set up… why is there an annual charge? Like most things in government – does the $10 become $20, the $20 later $50? 3) Perhaps the biggest concern was the notice. While it was reported on the Town’s website, published on the agenda, and made many of the papers – few in the business community knew anything about it and none of the larger commercial real estate managers I spoke with who have multi tenants in their buildings. I told the Town Board that the Lake Norman Chamber supports any measure which expedites response time and protects our homes and businesses. Looking at this code, it is not an unfair code and certainly a very positive step for the community. I just think with business input and more wide spread feedback from the town’s stakeholders – it could have been a great code. I closed my comments letting the town board know there are 803 businesses in the Town of Cornelius and 301 are Lake Norman Chamber of Commerce members. It is our job to keep you informed and we take seriously our charge to be the voice of business.